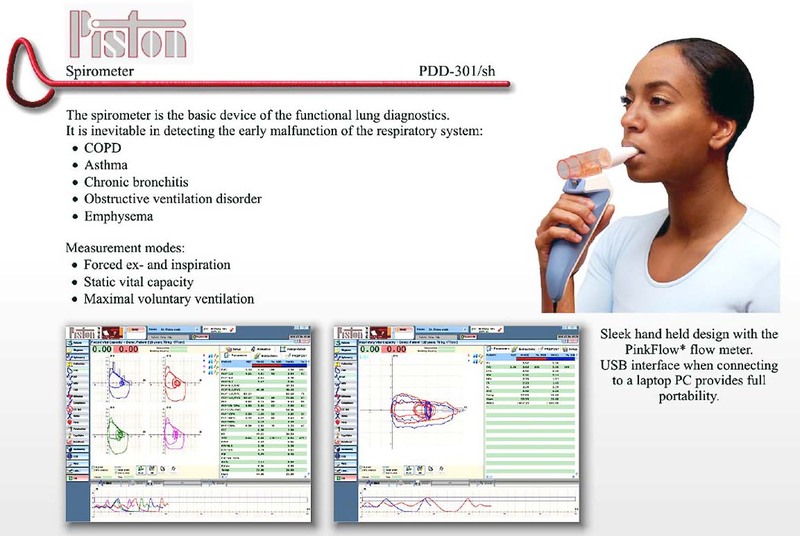 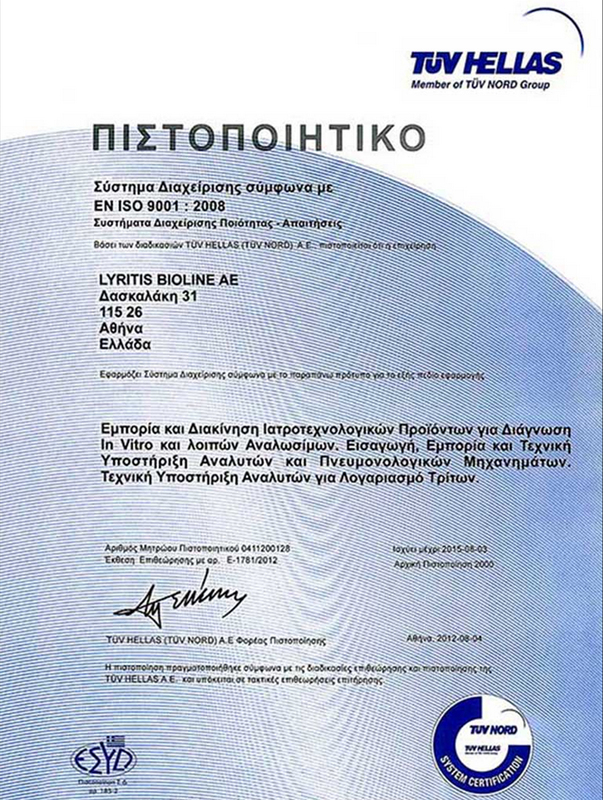 The company is EN ISO 9001:2008 certified and operates according to the 1348/04 Decree of Ministry of Health and Welfare. 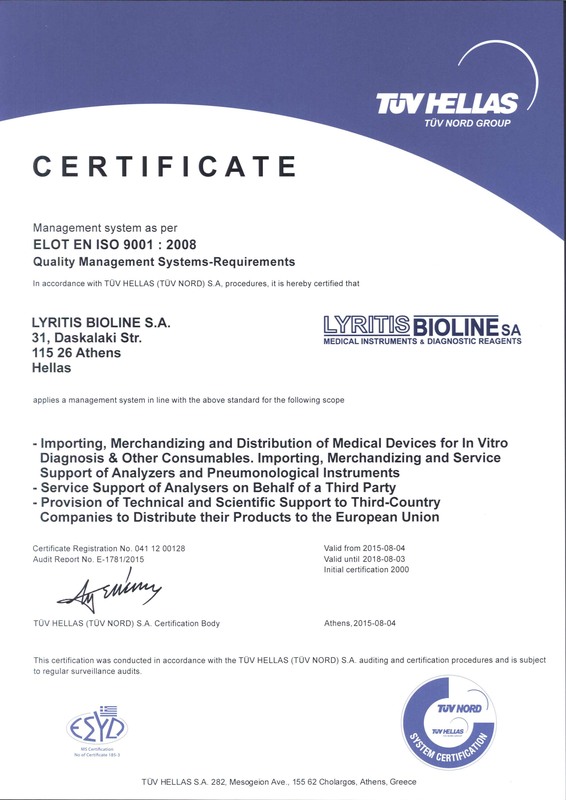 As a proof of the company’s continuous effort for provision of quality services, it has been certified in 2000 according to EN ISO 9001 (today EN ISO 9001:2008) and the Ministerial Decree E3833/99 (today 1348/04) of the Ministry of Health and Welfare so that can prove its ability to provide products and services that satisfy the needs of its customers and comply with the Law. 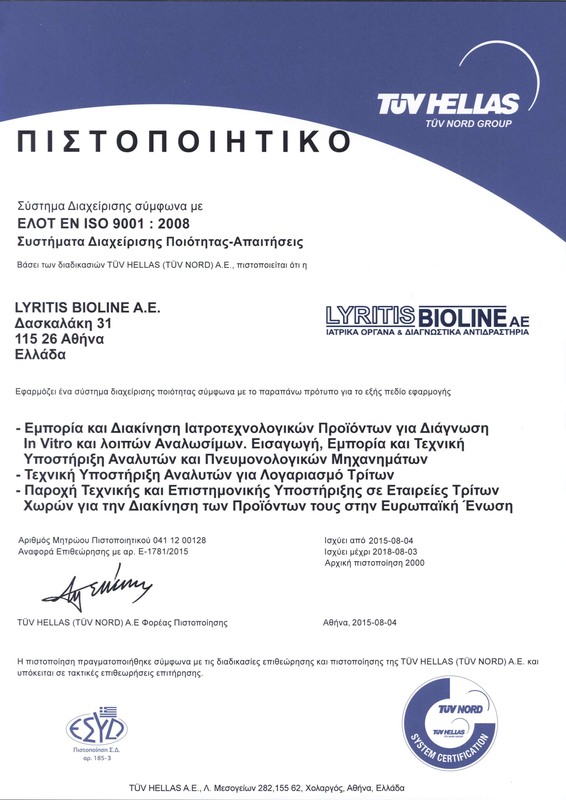 LYRITIS BIOLINE S.A. has harmonized its quality policy to the current National and European Law.